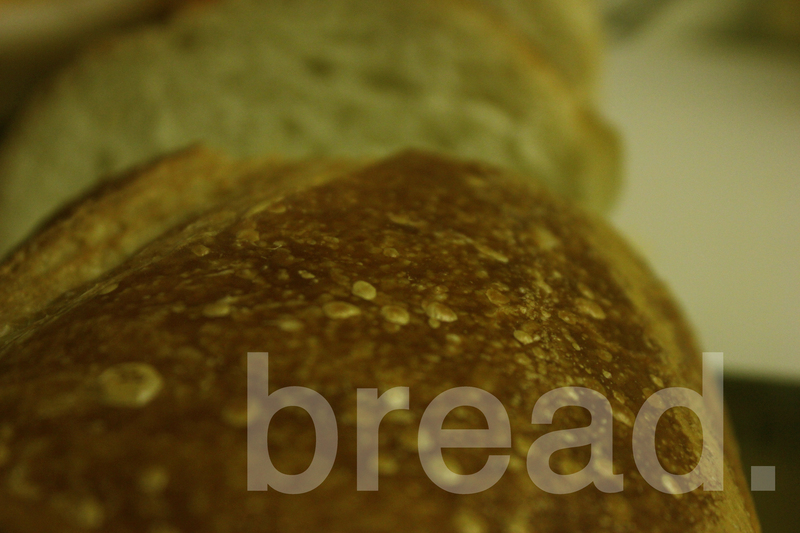 “Man cannot live by bread alone.” This is a biblical quote found in the Gospel of Matthew. Jesus said this when the Satan was tempting him to turn stones into bread so that he could eat and be temporarily satisfied. However, Jesus knew that his real and permanent satisfaction was in his father, God. This bible verse is irrefutably relevant to our consumeristic American culture. As Americans we are conditioned to grab onto one thing and think it will sustain us: A spouse, kids, career, a house, what we can do and even what we can make. But here’s the problem: all of those things will be gone someday. So how does this affect us? And how does this affect the things that we make? Well to start, this changes the way that we think. And before I go too far with that I should say that I understand that different people see this different ways. Some will say, “enjoy it while you have it” and others might say, “I’m going to do whatever I want because it’s all about me.” But, If we really evaluate this idea that everything is temporal, it can change the way that we go about creating things. Hypothetically, say that I am a hipster folk singer of sorts. I write songs about things that are relevant to me and my community like: broken relationships, a coffee shop, thick-framed glasses, skinny jeans, beards, bicycles, flannel, Jack Kerouac, whatever anyone in a suit would never talk about… But why do I write about these things if they are all going to be gone someday? Let’s try to hone in on one of these things and figure out why it would be worth writing about if it’s eventually going to be gone. As an example we will use one of the lesser items, a coffee shop. There’s really nothing deep or interesting or even worth talking about when it comes to a coffee shop. Many minds of our time might look at the coffee shop and say that it’s just the place where I hand them $5.85 and they hand me my less than ample sized latté. However, I, as the hypothetical hipster folk singer of sorts, spend vast amounts of my time at the coffee shop. In fact, a beautiful girl in thick-framed glasses even dumped me at this very same coffee shop. She told me that my jeans were too skinny and that I needed more than just a bicycle if we were going to be together. Upon hearing this I was, understandably, very depressed and retreated into a period where I grew a beard, wore the same flannel button-up everyday and found comfort in reading the Beat Generation words of Jack Kerouac at the very same coffee shop where I was dumped a mere 3 months ago. Holy crap! The coffee shop IS important! It’s not just where I get coffee, it’s where direction-altering events in my life have gone down. But how does this relate to the “by bread alone” idea? The bread is relevant because it’s just a small part of the greater story, just like the coffee shop was a small but important part of the hipster folk singer’s greater story. The story doesn’t exist without the bread/coffee shop but at the same time the story is not about the bread/coffee shop. We can’t hold on to one thing or one moment and hope that it will bring us sustenance. There is always a bigger story and how we fit into it is up for discovery. So if you have read this I want to humbly challenge you to set the bread aside and cling to something greater.